A major winter storm is set to impact Eastern Pennsylvania this weekend. Heavy snow, ice, strong winds and bitter cold are all expected from Saturday into Monday. Winter weather of this magnitude poses unique challenges. From stranded travelers to power outages, the American Red Cross has disaster workers and supplies on standby and ready to respond in case of such an emergency. If you must use a space heater, place it on a level, hard and nonflammable surface (such as ceramic tile floor), not on rugs, carpets or near bedding or drapes. Plug power cords directly into outlets – never into an extension cord or power strip. If you become stranded, stay in your vehicle and wait for help. Do not leave the vehicle to search for assistance unless help is visible. If you are using a generator be sure you understand the risks of carbon monoxide poisoning. Never use a generator indoors or in a garage. It must be kept outside in a well-ventilated area. BLOOD SUPPLY ALREADY LOW Winter weather also impacts blood and platelet donations. Right now, the Red Cross has less than a three-day supply of most blood types on hand, well below the ideal five-day supply needed to respond to emergencies and daily hospital needs. Every day in Eastern Pennsylvania, the Red Cross needs to collect nearly 800 units of blood and platelets — regardless of the weather — in order to meet the needs of patients. Prior to the storm, or when it’s considered safe to travel, donors of all blood types are encouraged to lend an arm to help ensure hospitals have an adequate supply of blood and platelets. 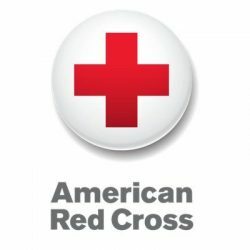 To find a donation site near you, visit RedCrossBlood.org or call 1-800-REDCROSS.